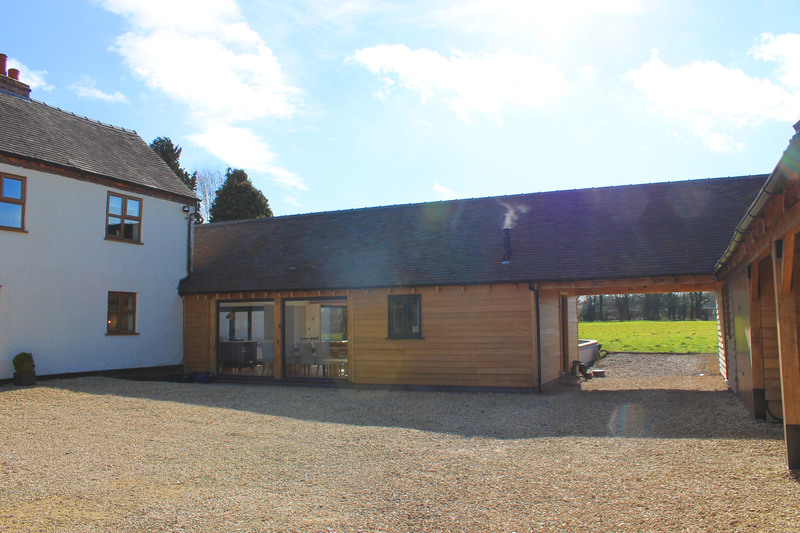 Simon Foote Architects were invited to see one of our recently completed projects near Ashby-de-la-Zouch. Our brief was to provide a new open plan kitchen, dining and living area whilst also adding additional utility and storage spaces. Along with extended habitable living space, a 4 bay carport and workshop were also on the list of must-haves. We utilised the views to the existing south facing garden, providing the property with much needed natural light and the opportunity for the building to connect with the expansive garden space. The design also created a courtyard to the front of the house to link the existing and new spaces bringing all elements together as you enter the site. 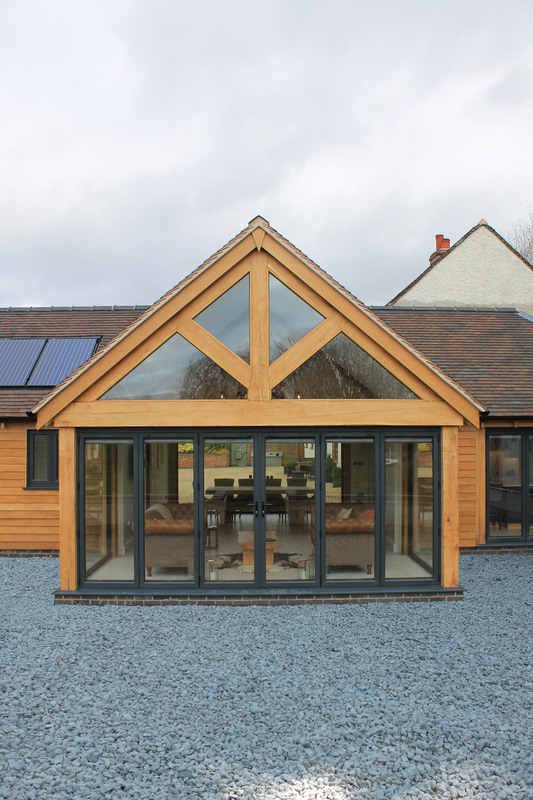 Both the workshop and open plan space use exposed large oak framing in the form of posts, beams and trusses. 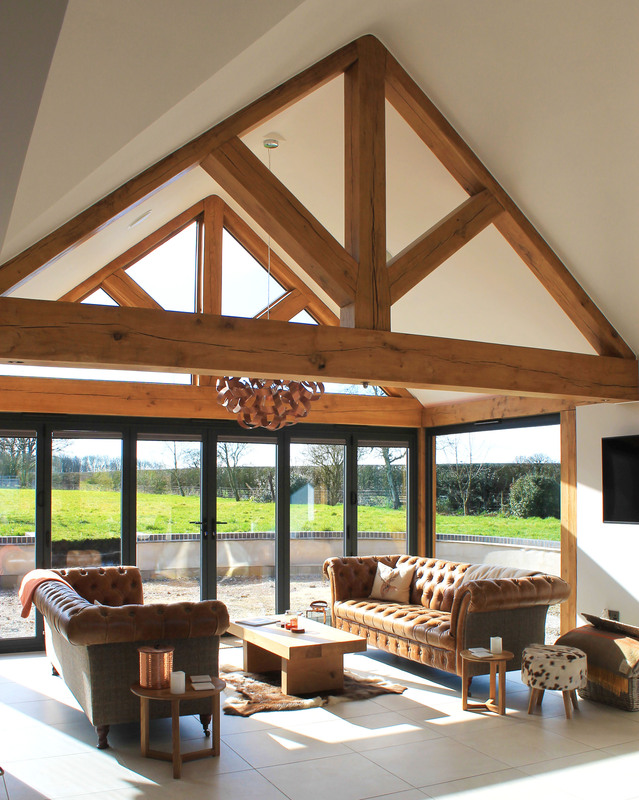 The trusses have been left exposed by using vaulted ceilings to make the space feel even more expansive and allow more natural light to flood the property. 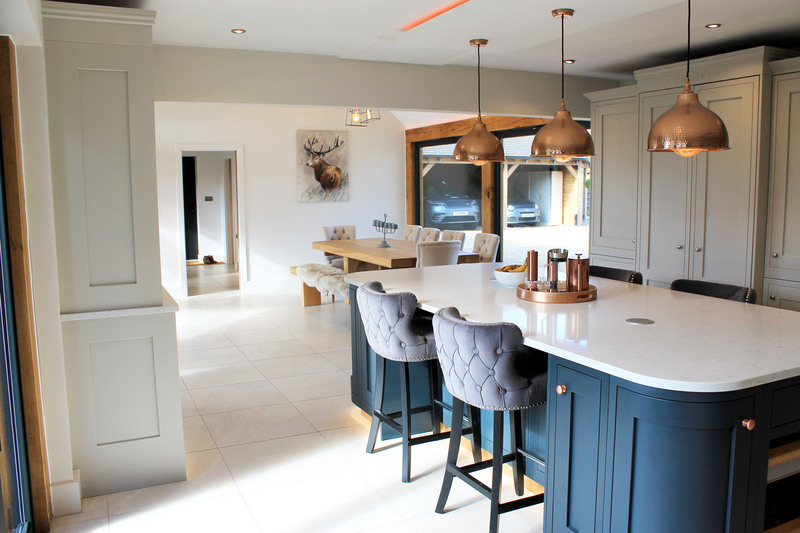 To complement the extension the interior has been finished to an extremely high standard with an impressive kitchen and LED lighting to accentuate the oak frame. 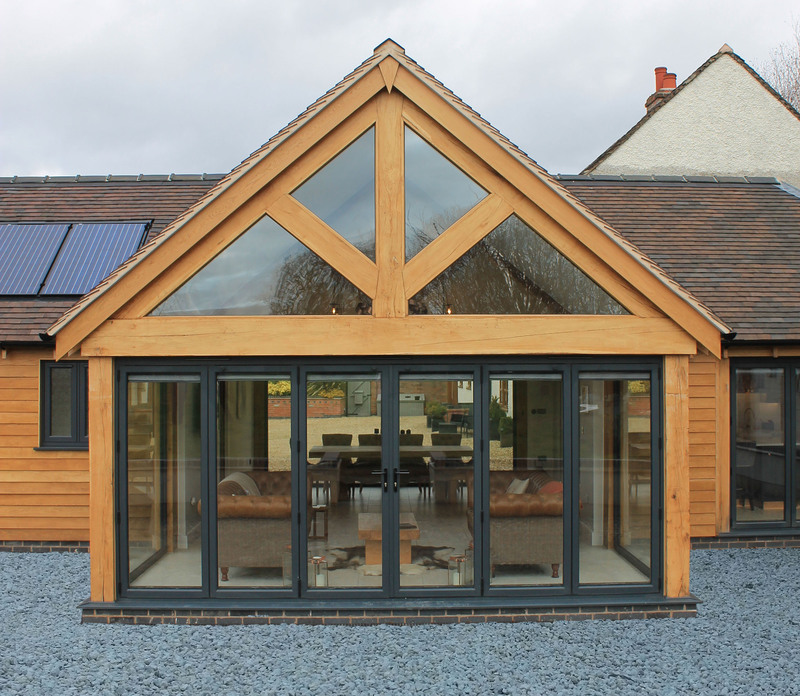 Externally oak boards have been used to clad the extensions complementing the framing, impressively installed by our clients.